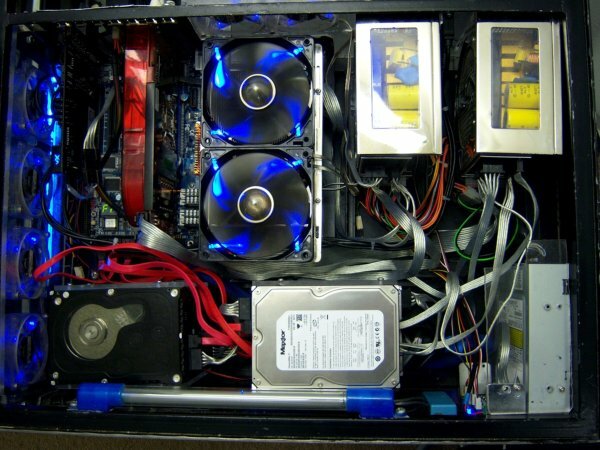 The Desk was my first computer case build. On one hand I wanted to have a really cool computer like some that I had seen with lights, Plexiglas windows, and that sort of thing. On the other hand I realized that my current computer sat on the floor by my table, usually acting as an ottoman, and was covered with scrapes and scuffs. I could set the case on my desk, but then with my keyboard and monitors there would be no room for anything else. My idea was to build a desk from scratch that would also act as the computer case. 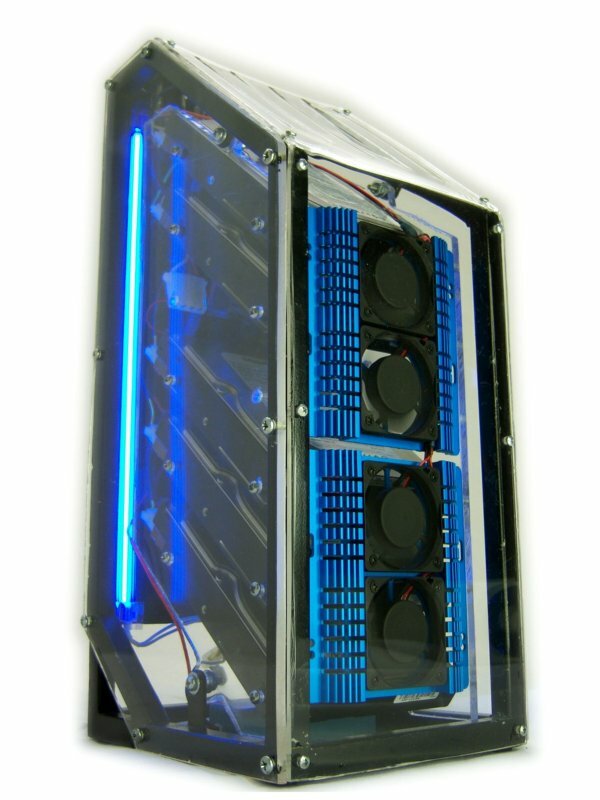 The CPU would sit under a thick piece of Plexiglas. I would substitute the monitor stands with custom arms that extended from the very back of the desk, freeing up even more space. 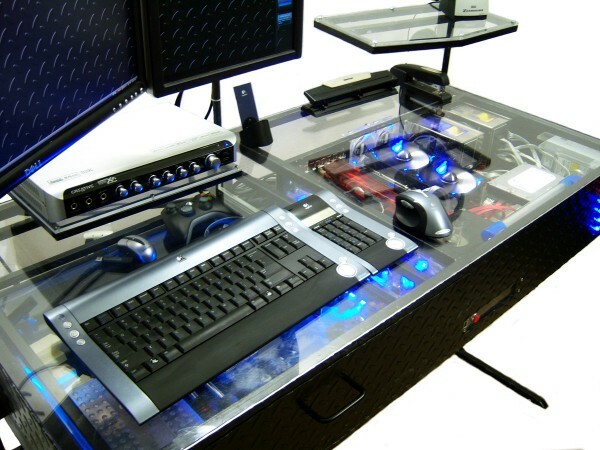 It would even have a large drawer like any other desk. This is my solution to a problem. 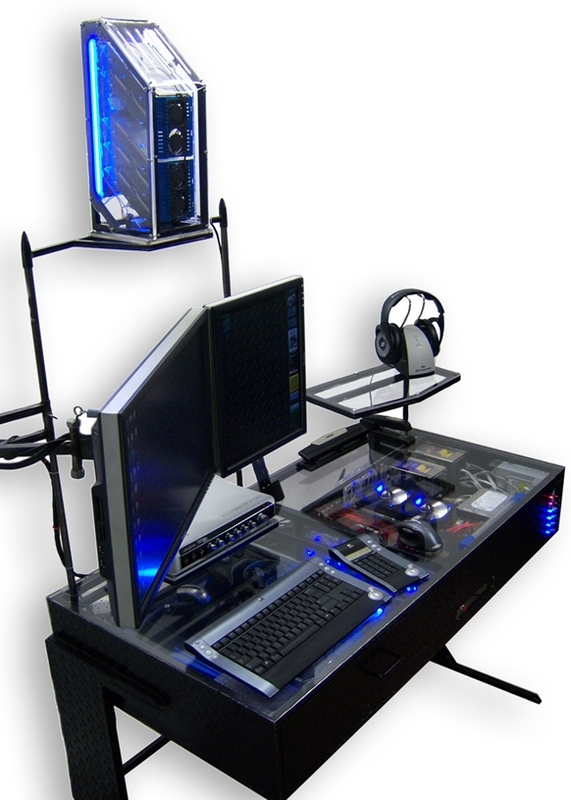 Shortly after I completed the desk I found out there was a large community of people who build custom computer cases called "Case Modders." The Desk has since won quite a few awards in Case Mod competitions. When people walk into the room and see the desk they are usually blown away when they find out that it is also a computer. But what I think probably the coolest thing about it is that unlike some of the other amazing Case Mods out there I use this thing all the time. It's the computer that I use to check my e-mail, watch movies, surf the net, edit videos. When I design computers I like to design them with a specific function in mind, and The Desk's function is to just get things done.